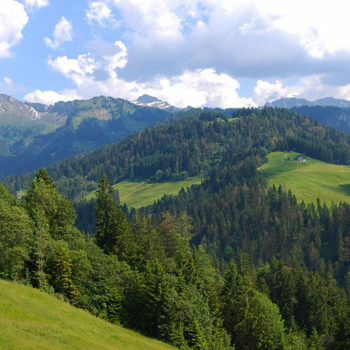 Bregenzerwald, or the forest of Bregenz in plain English, is among the lesser known parts of Austria. The region in the far west of Austria, in the state of Vorarlberg deserves much more attention. 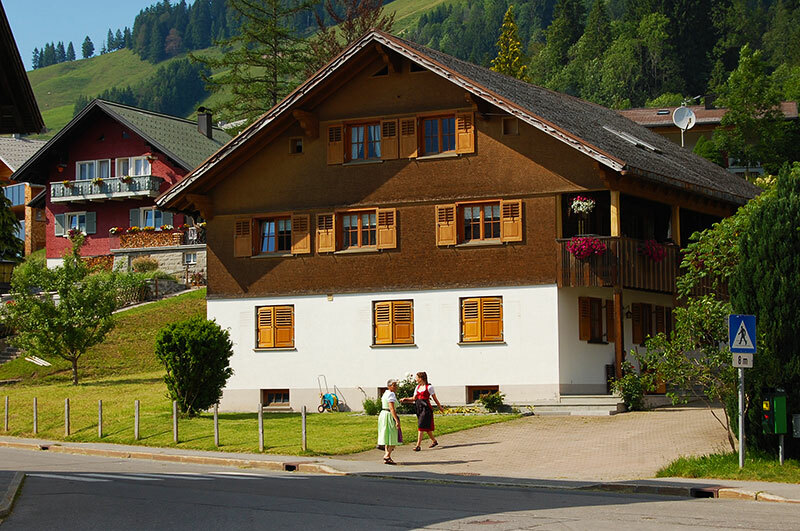 Join us on a slightly different journey into the nature and culture of Bregenzerwald. A trip around the Bregenzerwald in Vorarlberg can be far more than just hiking in wonderful nature. You should also enjoy local culinary delights and let the distinctive artistic expressions that you find everywhere in the region, in both architecture and art, be part of your experience. Furthermore, the region has flourished as a go-to place for cultural events. We have travelled around the Bregenzerwald both during the summer and winter to get a taste of the region. The Bregenzerwald, which extends from Lake Constance to the border with Tirol, is a bit different from the postcard images usually associated with Austria. You can travel from the sea side to the high mountains within a few miles. 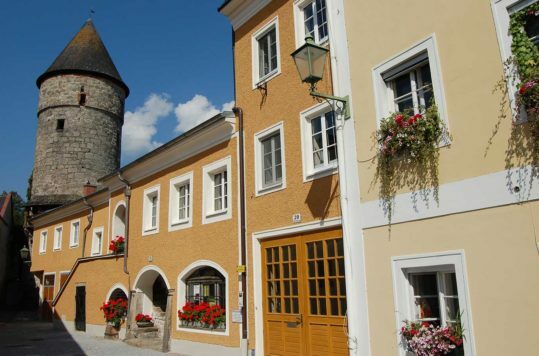 The cultural landscape has a few surprises installed for us, as they adhere to different architecture traditions in this part of Austria. Rather than what we are used to see in for example Styria or Salzburg. 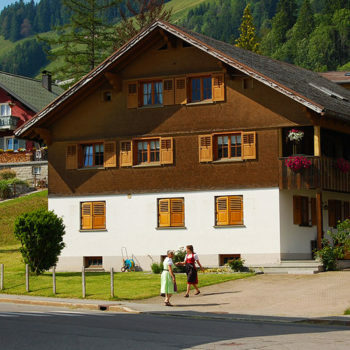 Moreover, the inhabitants of Vorarlberg also speak different German dialect here. Alemannic, that is the same dialect used in Switzerland which differs a bit from the Bavarian-speaking rest of Austria. No worries, we managed to communicate fine with the locals using the usual “standard German” or even in English at the tourist resorts. Another treat we also noticed was that it was a little quieter and less hectic here than in the more touristy parts of Austria. Thus, if you are looking to hike on less beaten tracks or visiting uncrowded sights, this region is for you. The landscape in northern part of Vorarlberg differs, from the ragged snow-covered peaks in the south of the state, with its slightly rounder undualting shapes. 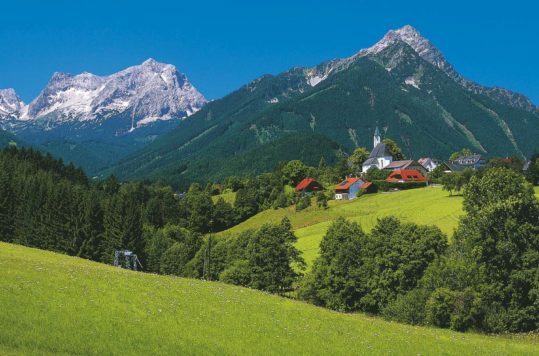 Moreover, the Bregenzerwald is a mixture of hills, valleys and forests where the cultural landscape dotes the valleys and hillsides. The region with its wide spread forests was only permanently populated about 1000 years ago. The hilly terrain is not suitable for large farms or production of large-scale food crops. 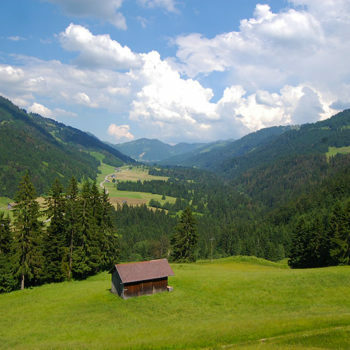 Consequently, the farmers in Bregenzerwald have concentrated on livestock farming. Moreover, pastures are covered with juicy grass, wild flowers and herbs that gives the milk unique and natural taste. Hence, cheese producers do especially benefit from this. We therefore followed the tip of making some stops along the so-called KäseStrasse (cheese road). 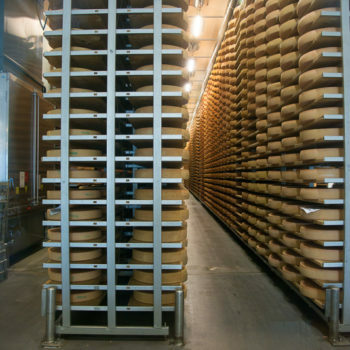 Over the centuries, but notably during the last decades, cheese from this part of Austria has been a sought-after delicacy. 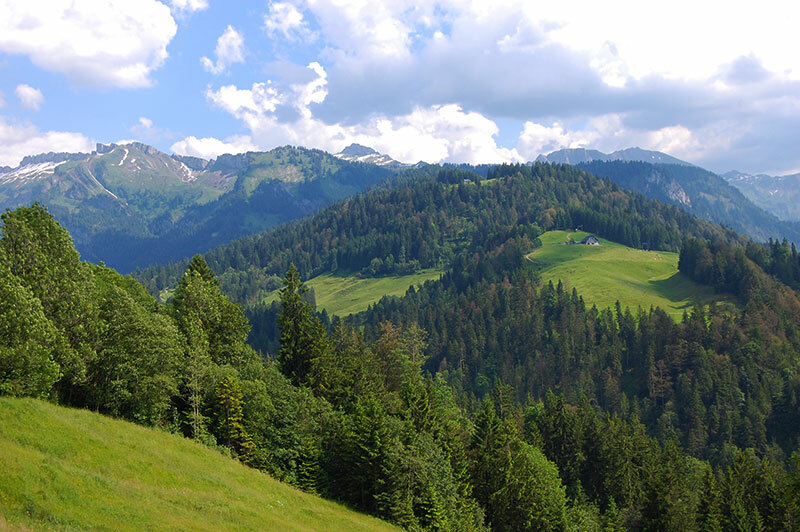 It has been claimed that the Bregenzerwald is for cheese connoisseurs, what Bordeaux is for wine connoisseurs. No wonder, as 35,000 cows outnumber the 32,000 inhabitants that share this region. 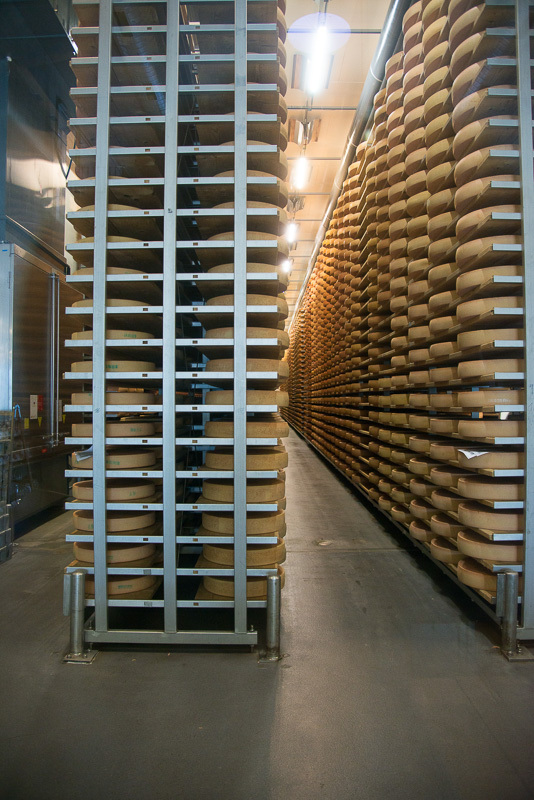 These cows produce first class milk to make high quality cheeses. 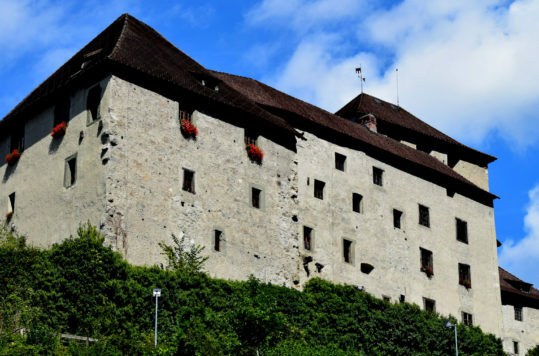 To give visitors the opportunity, not only to buy cheese, but also a small insight into what lies behind, you can go on a culinary journey on the KäseStrasse Bregenzerwald. It’s by far as cheesy as it sounds by the way. Along the route you can visit outlets, dairies and eateries that offer a taste of local culture and of course cheese in many forms and varieties. Having both eaten and bought some of the local delicacies, we had a real taste of the cultural diversity found in this lovely part of Austria. We found a few sights and sounds a little out of the ordinary, when we managed to leave the culinary route happy and satisfied. 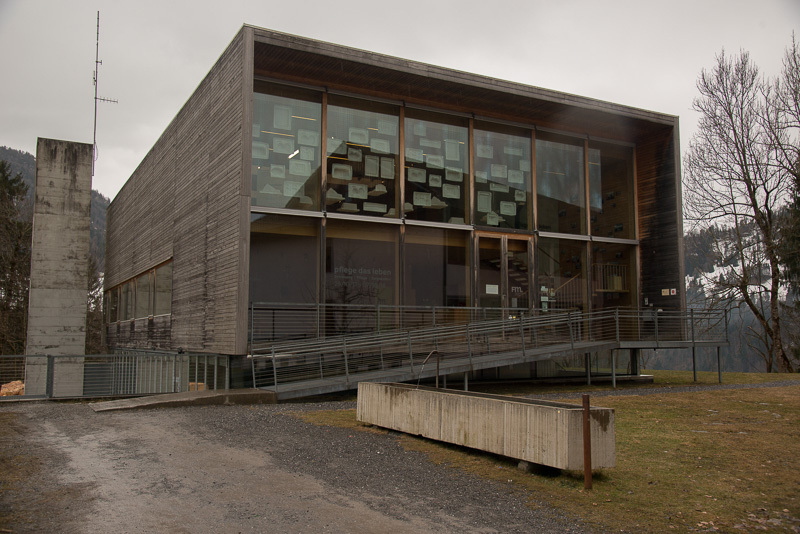 First, we visited at the women’s museum (Frauenmuseum) in Hittisau. 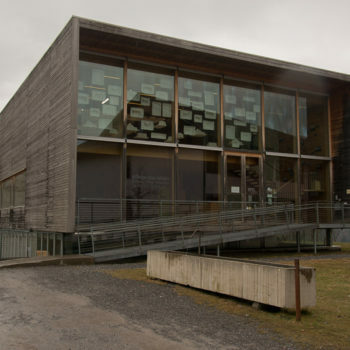 The museum aims to show the culture and history created by women, from the women’s point of view. Next we went on a musical trip. Ready for departure? Take a seat, sit back and join a musical journey. 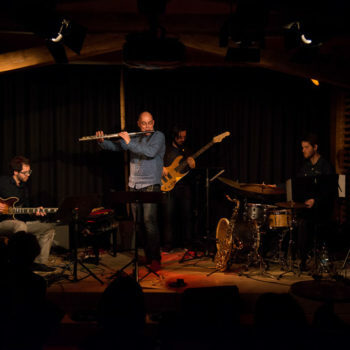 Bahnhof Kulturverrein (The Railway Station Cultural Center) in Andelsbuch offers concerts in many different music genres by visiting bands from Austria and overseas. 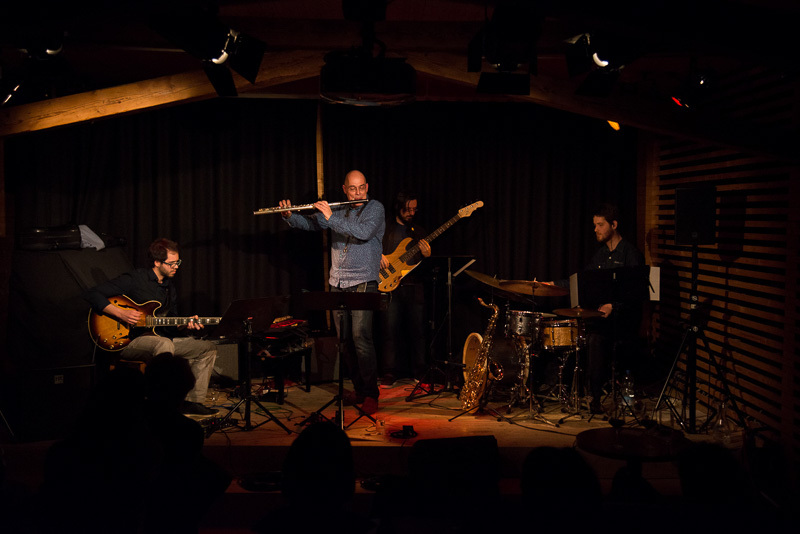 When we visited the place in early March this year, the Meretrio jazz band from São Paulo, Brazil played. 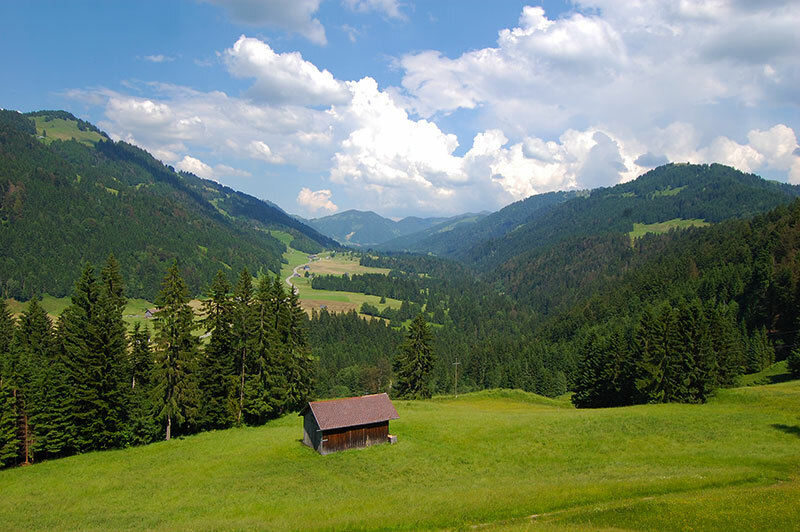 This was just a small taste of what the Bregenzerwald region offers its visitors. Why don’t you come and have a look at the rest for yourself!